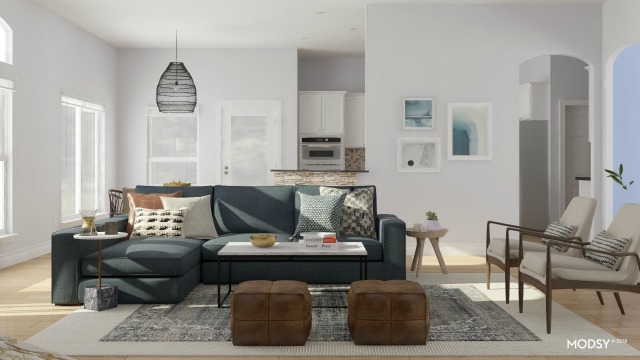 10 Reasons Why You Must Try Modsy’s 3D Room Design Service! Do you have a room in your home that you have been wanting to update forever, but don’t know where to start? Then you guys, I have just the thing for you! 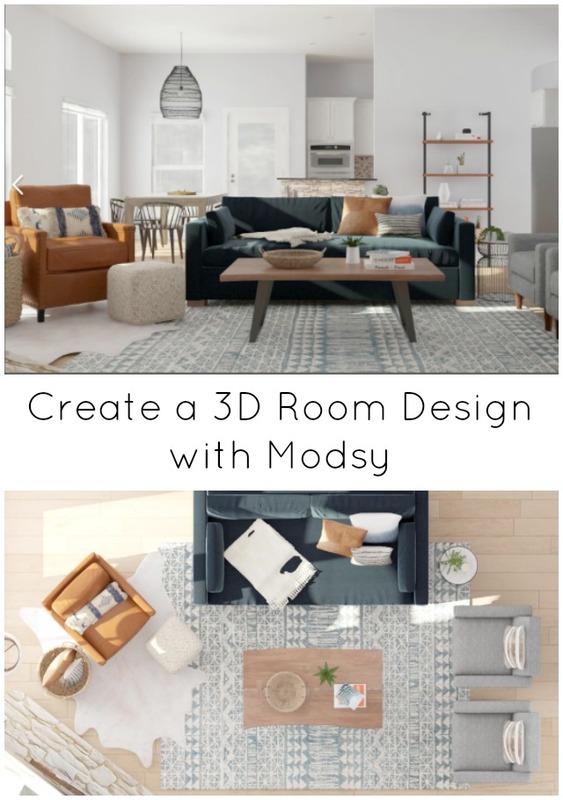 I was asked to try Modsy’s 3D room design service and I was blown away by how awesome and affordable it is. 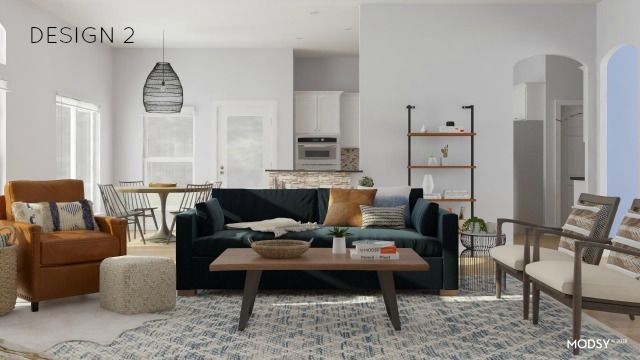 You just send them photos and measurements of your room, answer a style quiz, and within days Modsy’s designers send you a completely lifelike 3D rendering of your room with two fully furnished design options for you. Modsy’s design services start at just $59 a room, with the ability to make unlimited revisions to your designs. I mean how amazing is that? Even more, Modsy is offering Design Improvised readers 20% off any design package with the code “IMPROVISED20“! This would be an awesome holiday gift for yourself. 🙂 I often have people ask me for design help, and I will be referring them to Modsy from now on because you can’t beat the value for their quality designs. Read on for my 10 reasons why I think Modsy is a must-try in your home. Honestly this is the coolest feature. 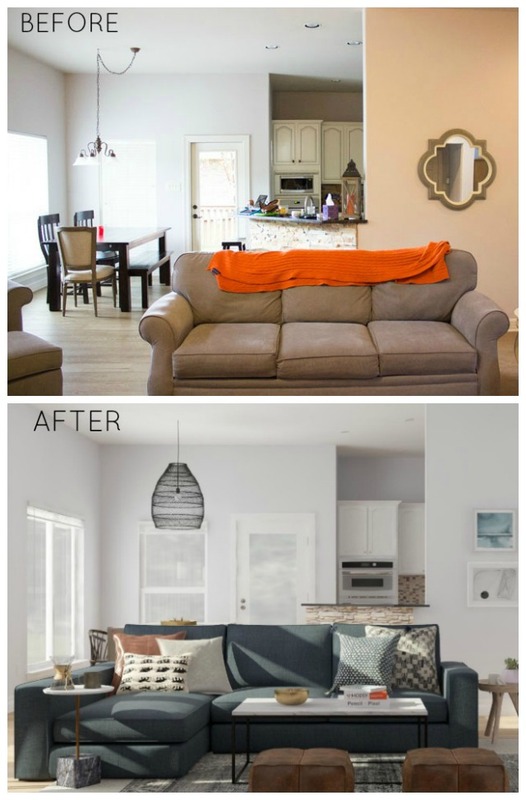 Their ability to recreate your room and fill it with completely new furnishings is amazing. Each design is shown from numerous angles, including a feature that let’s you do a complete 360 degree scroll around the room. 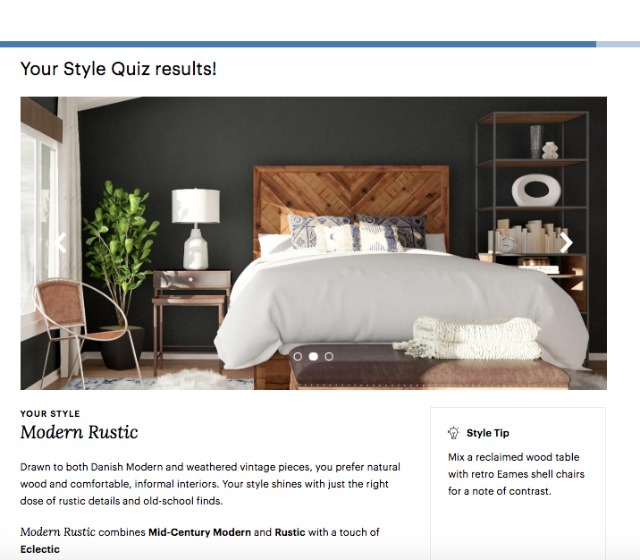 The Modsy design quiz does a great job narrowing in on your personal design style. 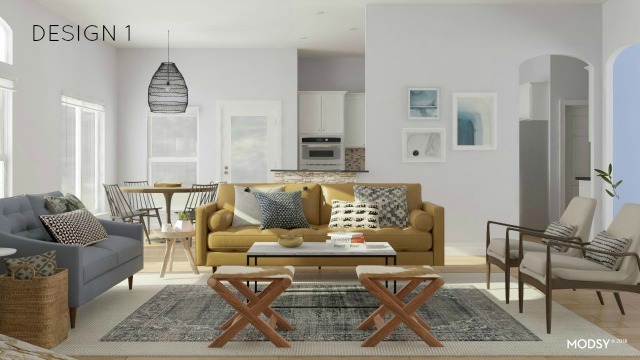 They make it easy by having you pick photos of rooms that resonate most with you. 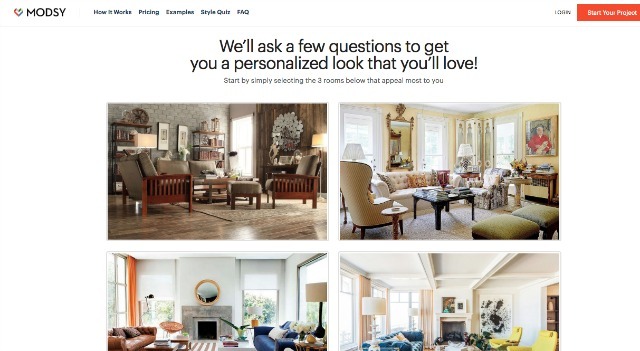 You can also provide them with a Pinterest board of images you’ve collected for room inspiration. 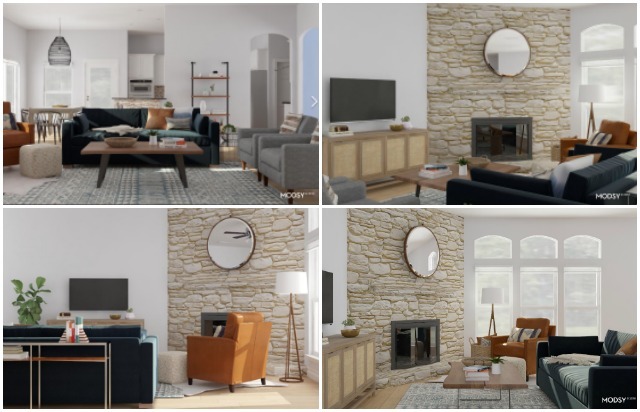 If you have specific furnishings or custom pieces you want to leave in the room design, Modsy can create a 3D model of any piece you currently own for an additional $15 a piece. If you like any of the pieces, you can click and purchase them directly from the design. However, there is no obligation to purchase anything. You can just use your new design as inspiration to do what you want with! 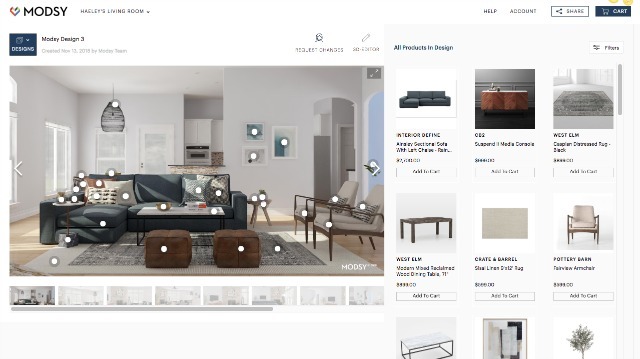 In addition to having the designer make changes, you can also play around directly with the design. 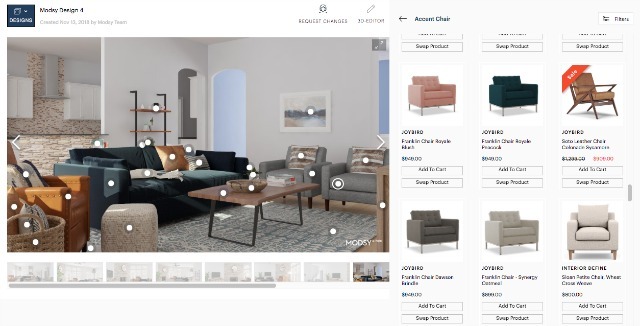 For instance if you want to try out a different accent chair, just click it in the design and a ton of other chair options will show up for you to swap into the design. While I submitted all of Olivia’s requested changes through email, you can actually speak to the designer directly if you choose the Premium design package option. When I was doing virtual design services for clients I was typically charging $250 for a single design. 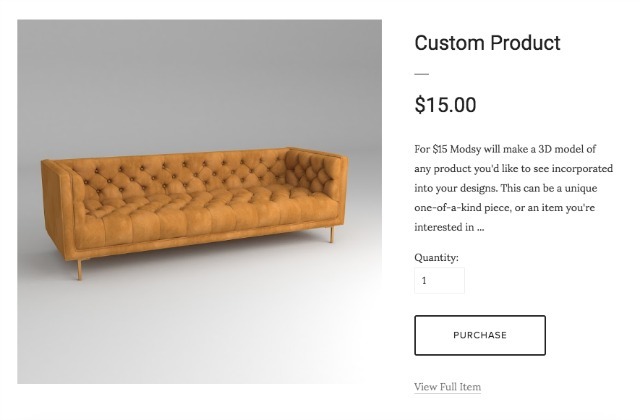 With Modsy, you get two quality designs for just $59…in 3D, with unlimited revisions. I just don’t know how you can beat that. Modsy’s premium package that provides you with 1:1 sessions with a dedicated designer throughout the process is only $149. I will seriously be recommending this to any friends that are looking for decorating help! This post is sponsored by Modsy. All opinions are my own – I absolutely love this design service. Thanks to Olivia for letting me try it out on her living room!